When something tickles you, and I mean really tickles you, you remember it. I can recall moments with friends and family where I've howled with laughter; in a room full of strangers, with a comedian on stage, however, not so much. This weekend promises, to change that. Funny and festive is the order of the day at The Glee Club, and they've got quite a line up to celebrate holiday season. 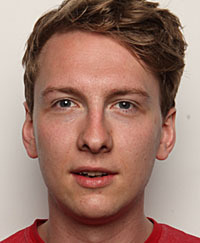 If you've not seen the very funny – and local – Joe Lycett live yet, this is your chance. He's headlining at the Glee Club and it promises to be hilarious. Also on the bill are Mark Olver, Dan Nightingale and Michael Fabbri. The Glee Club (in the Arcadian), is home to a host of talent. Not only does the venue supply you with a feed of funny Brummies, but artists from across the UK, who've mastered the art of tickling your funny bone. Tickets cost £15 and can be bought on the door. Having been to the Glee Club before, I recommend arriving at least thirty minutes early to secure a seat because the acts have a prompt start.